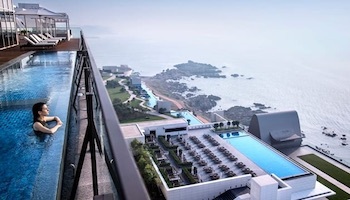 A nation ripe with cultural, historical, and natural tourist attractions, South Korea has a plethora of interesting sights. 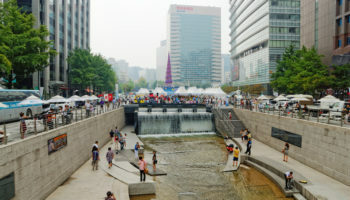 Aside from the obvious attractions, including mega-city Seoul, the country offers wide open spaces boasting incredible natural beauty characterized by rock formations, green pastures, and dense forest. On the whole, the country has had a rich history, where various rulers and kingdoms have dominated throughout the ages. Their reigns are still visible in the ruins and restored palaces scattered throughout the country. South Korea has an interesting cultural landscape to boot; the nation is rich with festivals, cultural events and tasty food. Located in the West Sea, Ganghwado Island is brimming with history. It has been occupied since prehistoric times and even enjoyed a period when it was the capital of Korea in the 13th century. In the 19th century, the island was used strategically to defend against the French and Japanese. 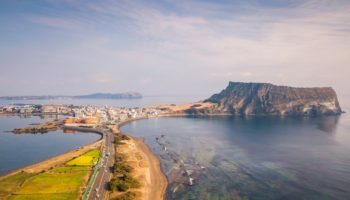 Aside from historical sites, Ganghwado Island offers impressive scenery, with several trails leading around the island; including Manisan Mountain with its expansive sea views. 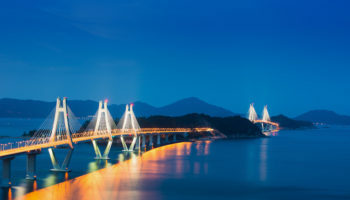 Only a short 90 minutes from Seoul, the island is close to the North Korean border and connected to the mainland via a bridge, so it is very accessible. This area near the city of Pocheon was once a working quarry which was closed to the public. However, in what was Pocheon’s first environmental restoration project, the quarry was transformed into a beautiful park. The turquoise lake lies in sharp contrast to the rock cliff’s sheer faces, and is visited by thousands of tourists a year. There is an outdoor stage located next to the water where the art center sometimes hold performances, with numerous events held per year, as well as daily art workshops. Seoraksan National Park is an unspoiled landscape of sharp, rocky outcrops and windswept pine trees. 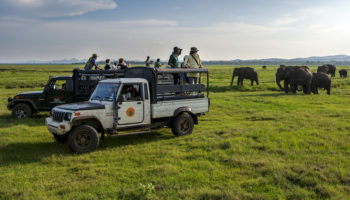 There are crystal clear streams and rivers that run through the park’s valley, providing hydration for the 2000 plus animals that live within its boundaries. The area is extremely popular for hiking, with well-marked trails varying in difficulty. 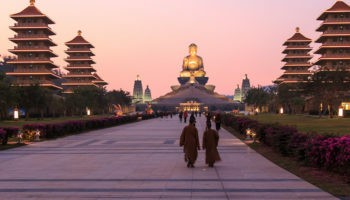 Near the entrance of the park, visitors are greeted by a massive Buddha statue, situated at Sinheungsa Temple. 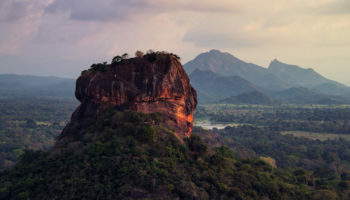 At times, hikers can hear monks chanting in the distance as they explore. There are plenty of food and drink options within the park boundaries, but they tend to more expensive then dining facilities outside of the park. Gyeongju’s Bulguksa Temple was originally built in 528, but has endured a number of renovations and extensions throughout history. Just outside of Busan, the temple was very important to many dynasties. The complex is made up of many buildings with intricate carvings and statues and harbors some of South Korea’s most important national treasures, such as the Sinheungsa and Dabotap pagodas. The garden is very impressive year-round, but is even more stunning when the cherry blossoms are in bloom. It is best to visit with a guide, who will bring the scenery to life with tales of yesteryear. South Korea has its own modern version of the famous biblical story of Moses. Every year, visitors from around the world flock to Jindo to witness this natural phenomenon of the ‘sea parting’. However, it is not as magical as it might first appear; the natural bridge is the result of a yearly accumulation of pebbles and sand which have collected due to the tide. In total, the sea parting is 2.8 kilometers long, and at low tide, 40-60 meters wide. A number of exciting exhibitions and programs take place for the duration of the festival; including parades and cultural events. The roads of Jeonju Hanok Village are lined with street-food vendors and restaurants carrying dishes that are traditional to Jeonju. One such dish is Jeonju bibimbay; it was considered a royal dish during the Jeonju dynasty. Besides the culinary aspects, the town is famous for its many hanoks: traditional Korean houses which pay considerable attention to the positioning of the house. The ideal hanok would feature a mountain in the back and a river out front. They typically utilize a courtyard to retain heat within the house, especially the floor, since Koreans traditionally sit on the floor to eat and entertain. Colorful, terraced houses that look seaward characterize Gamcheon Cultural Village in Busan. Before 2009, Gamcheon was a slum; home to refugees from the Korean War. 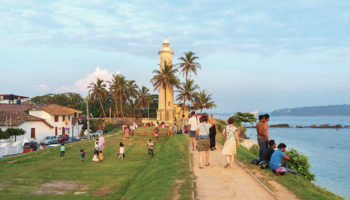 However, various government agencies undertook an initiative to redevelop the area as a tourist attraction and artistic hub. As such, the city received funding to beautify their town. Artists flocked to the area and now art lives around every corner, whether it’s outdoor statues or street art. Today, the best way to experience the city is simply to lose yourself in the colorful alleyways of this unique town. Once a year on Daecheon Beach, the dirtiest festival in South Korea takes place. The mud at the Annual Boryeong Mud Festival is believed to have special beautifying mineral properties. Each year it is brought to the beach in truck loads from the nearby Boryeong mud flats. The festival began in 1998 to promote cosmetics that used Boryeong mud in their products. Since then, the event has exploded. 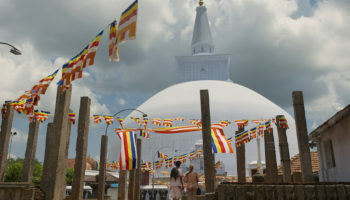 Each year millions visit for the two-week affair. Some of the most popular events take place on the last weekend; including the Mud Prison, mud skiing, and mud wrestling. The beautiful, rolling green hills of Boseong Tea Fields are the only fields of their kind open in Korea, and are just begging for a photo. 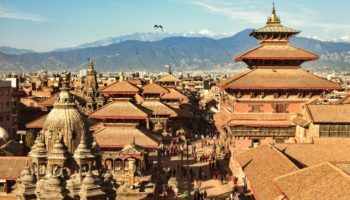 There are many walking trails and viewing points where you can take in the beauty of the verdant gardens and watch the skilled workers selecting the best tea leaves. Tea is an integral part of Korean culture and you can experience a traditional Korean tea ceremony while you are here. It is a great way to dive into learning about Korean culture and get a chance to sample some fresh tea too. Before you leave, don’t forget to check out the beautiful bamboo forest on the outskirts of the fields. Hallasan National Park is home to South Korea’s tallest mountain: Hallasan Mountain. Traditionally, Hallasan Mountain was called Mount Yeongjusan, meaning ‘the mountain high enough to pull the galaxy’. The park is situated in South Korea’s Jeju Island. There are trails suited to every fitness level snaking around the area. Even the hike to the summit of Mont Hallasan is pretty relaxing, and suited to intermediate level hikers. This mountain was once an active volcano; at the summit, you can find evidence of this in the form of a stunning crater lake. This marvelous fortress is a true testament to Korea’s unique history and military might. Built to surround the town of Suwan by King Jeongko between 1974 and 1976, it has received many battle scars since then. King Jeongko built the fortress to honor his father, who was murdered by his grandfather. The complex features an elaborate palace, almost six kilometers of fortress walls, and various gate towers. Every autumn, the Suwan Hwaseng Cultural Festival takes places; featuring reenactments and other cultural events and exhibits. Changdeokgung Palace in Seoul was the principal place of residence for a number of powerful kings and their royal families throughout history. It is one of the best-preserved palaces in South Korea at this moment. 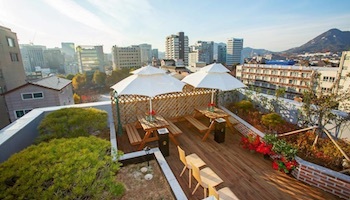 However, the Huwon Secret Garden is one of the stars of the property. This huge garden features an incredible array of plants, trees, rivers, lotus ponds, pavilions and sitting areas. Some of the trees on the property are over 300 years old. The garden was granted its name because it had an air of mystery about it; it was a place where no one but the royal families were permitted to enter without permission. Namiseom Island, part of the larger Gapyeong county, is blanketed in a beautiful natural landscape. 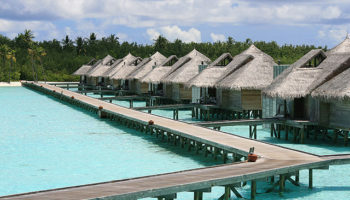 It enjoys distinct seasons and is a very popular destination for domestic tourism. The half-moon island results from the creation of Cheongpyeong Dam, which sectioned off the land from the rest of the river. The island was named after the famous general Nami who was buried here in the 17th century. Aside from the surreal scenery and historical references, the island is known for its delicious pan-fried rice cake. Located in the heart of Seoul, Gyeongbokgung Palace is one of South Korea’s most iconic buildings. The incredible palace finished construction in 1395. However, over the years, various other rooms and structures were added to this incredible building. The two museums that reside within the palace walls include the Museum of Korea and the National Palace Museum of Korea. There are still a number of ongoing restoration efforts aimed at restoring this fabulous building back to the epitome of its former glory. The demilitarized zone between North and South Korea is one of the tensest borders in recent times. For some visiting the area, the DMZ zone is the only glimpse of the mysterious and brutal country, North Korea, that they will ever get. There are various viewing platforms from the South Korean side that look northward toward North Korea. The strip that borders each country was decided at the end of the Korean Wars as part of the Korean Armistice Agreement. The area is often used as a place of self-reflection: to reflect upon the state of our political systems and the freedoms we enjoy today. Guided tours are available at the DMZ, which explain in detail the political and social atmospheres of each distinct country. Which attractions in South Korea do you consider to be the most interesting? Huwon Secret Garden (No 4) is Biwon Secret Garden.